Notisboard is an online forum, designed to enable users to share notifications, like an electronic bulletin board. The system has been designed to allow users to create, and join communities and then publish notifications on it. Built on Laravel, the system is a robust, secure portal, with the ability to handle large scale data inflow. Consisting of cron jobs, which enable scheduling of posts, integration of mail clients for notifications and alerts, makes Notisboard a complete social network/forum web portal, with a complete admin control panel. 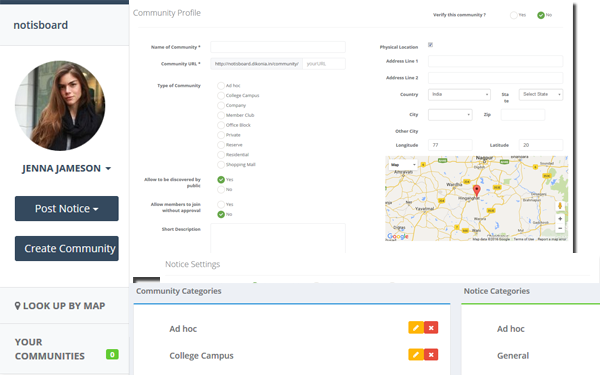 Community Settings - While creating a community, the user has a wide range of customizable settings to choose from. This makes communities visible to public, and dictate the process using which a user can join a community. Further, the owner of the community can decide who can create notices, and whether users can comment on a notification. Notification Settings and Scheduling - While creating notices, users are able to select comment settings, and set up scheduling, so the notification would become live on a future date, for a predefined duration of time. The system also allows users to move notifications to drafts, and archive folders. Within archive folders, users are able to define custom folders, from where they can pick up old, expired notices and edit them to be posted once again. Google Maps Integration - A vital functionality of the system is enables users to locate different communities around their location. This was handled by integration of Google Maps, using which users can search for and locate communities with physical addresses within a predefined radius of their own location. 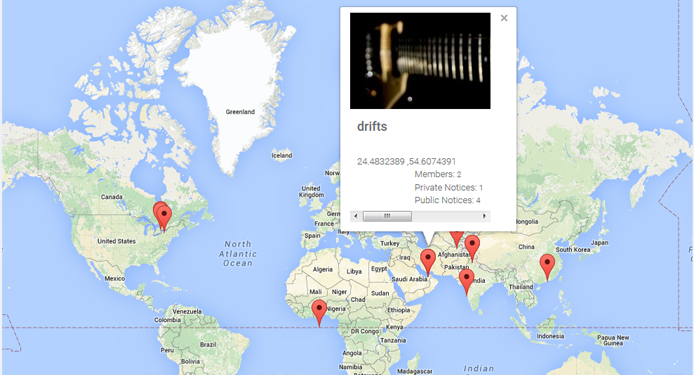 This allows users to not only find a specific community, but also explore new ones around them. 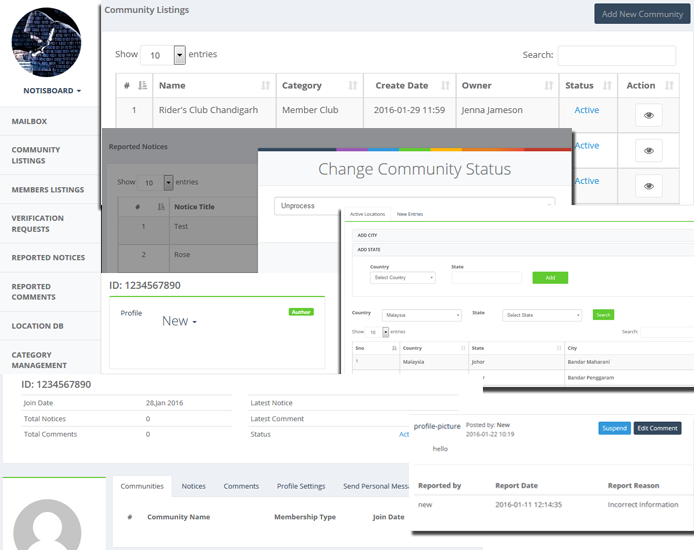 Admin Control - The portal can be completely managed by the Admin using the backend built for the system. This includes complete user listing, their activity, listing of all notifications, and comments. The admin is able to review and take action on all items that are reported by users. Actions include removing content, as well as removing communities and users.